IN THE BEGINNING OF THE WORLD THERE WAS THE KABAH — at least, if you believe what Muslims are indoctrinated into believing about the draped temple of Mecca that is orbited by masses of people every year during the pilgrimage season. The story goes it was a jewel sent down to the world by Allah from his throne far above the seventh of the seven heavens. 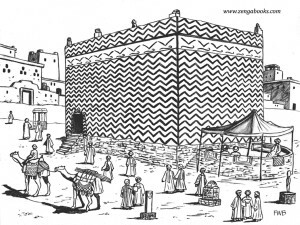 Adam, the first man, built the Kabah as the first temple of worship of Allah, but it was destroyed in the great flood that Allah inflicted on the world for disobedience to his will. 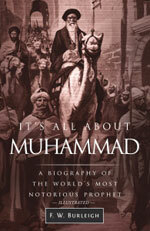 It was rebuilt by Abraham and Ishmael, and Ishmael fathered a line of Arabs that led finally to Muhammad. But by Muhammad’s time, the temple had fallen into the wrong hands, into the hands of idolaters who worshiped other gods than Allah. 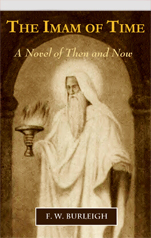 Muhammad, as hero of this fanciful narrative that he created about himself, was commissioned by Allah to rescue the temple from idolatry and restore the one-God worship of Adam, Noah, Abraham, Ishmael, and other heroes of Biblical fame. 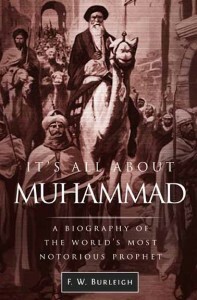 Muhammad, an Arab of Yemeni descent, had a way of inserting himself into other people’s religious narratives, a compulsion derived from his many psychological disorders, not the least of which was grandiosity. He was like Woody Allen in Zelig where Allen grafts himself into historical footage showing himself on stage with Adolph Hitler — except that Muhammad was notoriously unfunny. In his unfunny way he grafted himself onto the line of Jewish prophets; he put himself on stage with the heroes of Jewish legends and proclaimed himself to be the best of them all, the last and final prophet before the Day of Doom, superior to all the other prophets, even Jesus. 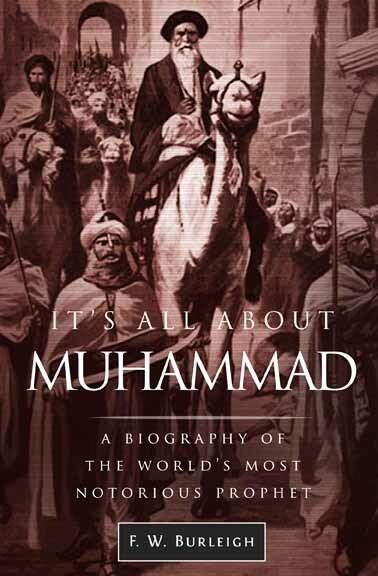 Muhammad included Jesus in the prophet lineup, but he had to demote Jesus to being merely a man, for if he acknowledged him as divine, he, Muhammad, would have had little if any importance. 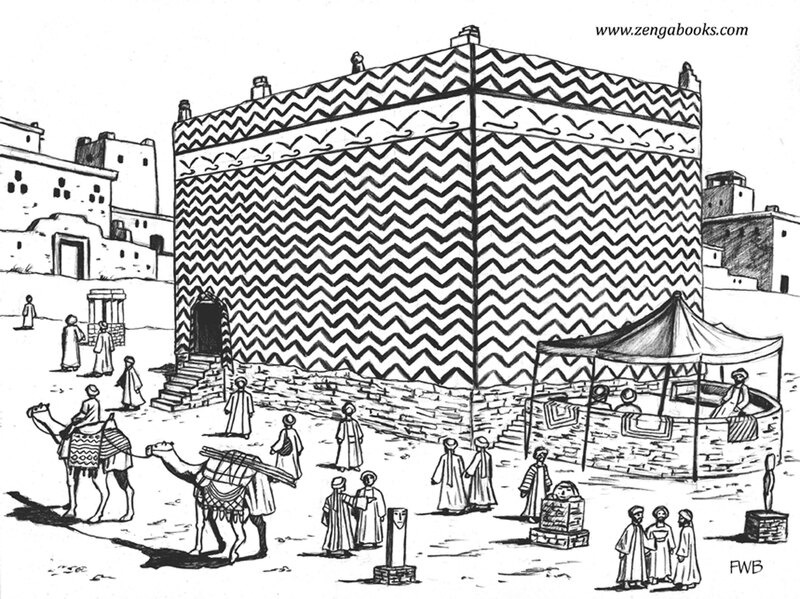 The truth about the Meccan temple is yawningly prosaic. It was a moon temple built by the early nomadic Arabs of the valley of Mecca, descendants of Yemeni emigrants who worshiped the moon, the sun, and other celestial objects. A couple of hundred years before Muhammad, the temple was an enclosure whose walls of stacked rocks were so low that goats could jump over them. In one corner, atop a pillar of rocks, was the Black Stone meteorite the desert Arabs had discovered and believed to be a gift of the moon god. Kabah is a nickname. It means cube in Arabic, and the temple of Mecca did not acquire its cubic shape until the year A.D. 605 when Muhammad was 35 years old. Until then, it had remained a stone enclosure without a roof, though its walls had been built up higher than in previous centuries — above a man’s height and having a door. The statue of the moon god Hubal was on a pedestal in the interior. Polytheists from all over Arabia made a visit to the shrine during their pilgrimage. and others pestered him to remove his clothes like everyone else, and use them as a cushion to protect his shoulder while carrying rocks, but when he removed his garments he fell to the ground in a seizure. Epilepsy is central to the Muhammad story because the neurological explosions of his malformed temporal lobe gave him ecstatic experiences that eventually convinced him he was in communion with God and that God had selected him as a prophet. Once the temple attained its final form, then and only then did it become known as “The Cube.” It sported a semicircular stone platform on one side that served as a meeting site for the town notables and as a stage for orators when crowds gathered on important occasions. 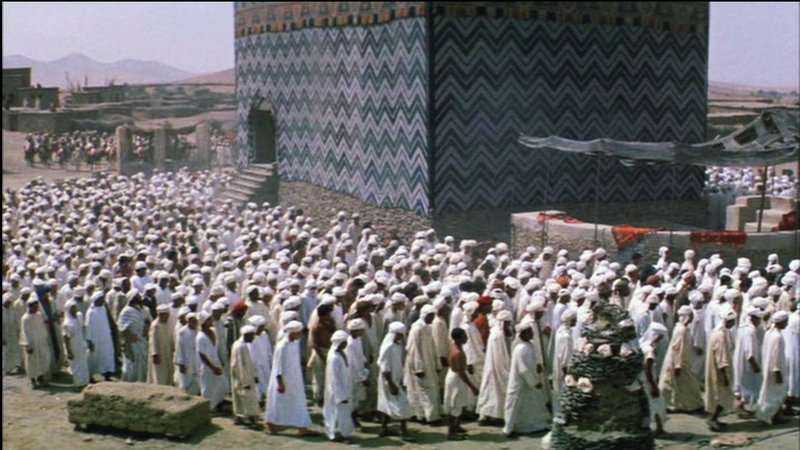 When Muhammad conquered Mecca, he took over the Cube and made it central to the worship of his peculiar God concept, an idea that reflected his own psyche, particularly his stunning capacity for hatred and thirst for vengeance. His followers no longer orbited the moon shrine in imitation of celestial objects, but in worship of Muhammad’s God concept. It is the practice that Muslims — Submitters to Muhammad’s violent God concept — blindly continue today.